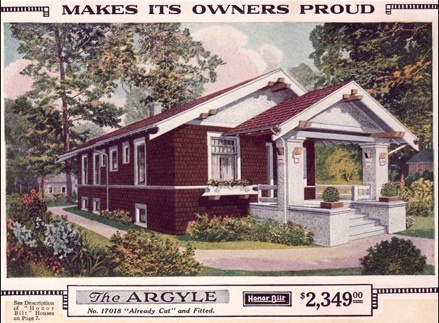 On Monday, we talked about the Sears homes that sold so well during the first part of the 20th century. These homes were a big hit because they were very affordable and could be built almost anywhere. You can read more about these homes in the post right here. I have to also give a special shout-out to the several readers who contacted me via email and are now checking to see if their homes are original Sears homes. Be sure to use this website as a guide in your searches! Very exciting! Today we’re talking about the tools that were used to build some of those Sears house kits. As you may remember, Sears included the design and almost all the building materials you needed, but you had to build the house yourself. Who better to buy your hand tools from than the company who designed your house? Okay, all that history stuff is real interesting and all but what does this have to do with today? I am recommending Craftsman hand tools as the official hand tools of our Toolbox post series. I’m not being paid or perked for this endorsement, I just believe in their products. And I’m not alone. Popular Mechanics readers named Craftsman the favorite hand tools in their Reader’s Choice Awards. The US Army and Air Force Exchange Services sell Craftsman tools on US military bases all over the world. Craftsman hand tools are the official hand tools of the DIY Network and NASCAR (and those people need to be able to depend on their tools). If for any reason your Craftsman hand tool ever fails to provide complete satisfaction, return it to any Sears store or other Craftsman outlet in the United States for free repair or replacement. First, this warranty is for hand tools. If you burn out the motor on your table saw, it’s on you. Hand tools mean hammers, screwdrivers, wrenches, ratchets (Sears invented the ratchet wrench. Did you know that? ), hand saws, measuring tapes, pliers, wire cutters, mallets, utility knives, pry bars, levels, chisels…you get the idea. Craftsman also backs most of their non-powered lawn and garden tools under this warranty. Secondly, this warranty is a unlimited lifetime warranty. Not your lifetime, the tool’s lifetime. For example, I could bring in my great grandfather’s hammer from 1927 (the year the Craftsman line was started) with no receipt or dated proof of purchase, and Sears would replace it for free. Did you see the title of this post? It wasn’t hyperbole. That, my friends, is CUSTOMER SERVICE. There are three other great things you should know about Craftsman tools. Ya know, just in case that amazing warranty wasn’t enough for you discerning DIY-ers. Craftsman has a great customer loyalty program called the “Craftsman Club”. The more you buy, the more points you earn that can be used to buy tools. You also get emails giving you advanced notice of new tools, sales and their monthly “Saver Days”, during which many of their tools are significantly discounted. Membership is free and your can learn more about if right here. 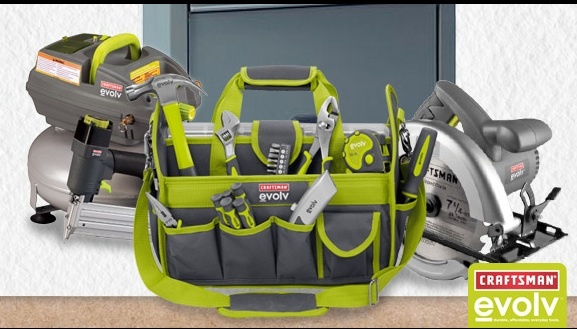 Craftsman has a new line of tools called “Evolv”. They are less expensive than the regular tools, yet still backed by then awesome warranty. They also are packaged and designed with more environmentally considerate materials. You can read more about this line and browse its products right here. Craftsman can show you how to use your tools. They have monthly DIY projects online with free plan downloads. You can start by building a nice chess board and work your way up to a deck with a gazebo. Browse all of their projects right here. I want to close today with an explanation of why I think tools are important in our homes. Most home and design blogs don’t put much effort into discussing tools. It’s true, knowing how to DIY things around your home can save you a lot of money. I’m not expecting anyone to build their own homes anymore. (Good luck getting those inspected.) But I do have a point I want to make. Building things with your own hands is almost a lost art in America. Most adults of my generation (Generation X) have no experience or memory of being taught how to use the most basic hand tools. Some men may have a few distant memories of a Pinewood Derby project, most women have nothing. This is a missed opportunity for accomplishment. There is nothing like the feeling when you are creating or have repaired something yourself. 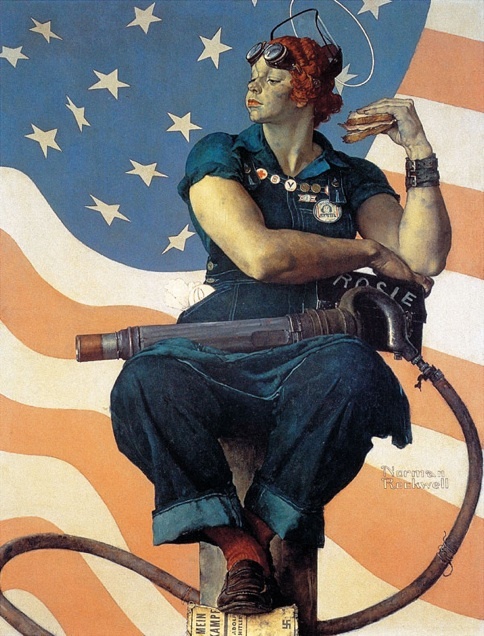 A whole generation of American women went to work and built planes, ships, tanks, jeeps and more, with their own hands, to save our country. Today, most of their daughters and granddaughters are afraid to buy a hammer unless it’s pink. What have we become? Let us take back our self-sufficiency. We are capable of more. Let us learn how to use tools well, maintain our homes, create new things and teach our children to do the same. Every man, woman and child can learn basic skills that will stay with them for a lifetime. There is no risk in learning and this economy is a great reminder that we all need to prepare ourselves better for life. Posted on July 28, 2011, in Toolbox. Bookmark the permalink. 2 Comments. Right on! I’ve learned how to used tools because I had to when I was young and single and needed to get things done around the house. Now that I know…I’m not going to build an addition on the house, but I can put something together when it comes from the store. I hate feeling like I need to rely on anyone else. I’m with you! I’m with you Cathryn! In fact I’m writing a book about it! Hence stumbling into your website during my research. It is the same situation in the UK. I think but the worrying trend is that recent financial screwups by the powers that be, means that folks don’t have the cash to pay others to fix up their home. Where will this leave our beloved housing stock I wonder, in a few years time, especially judging by the simplicity of some of the questions I get asked on my own blog. It’s funny that you mention that skills are being lost in the states, I assumed that everything was fine and dandy there, because so many of the websites I personally adore seem to show the average American handyman sporting a better quipped workshop (read garage) than many of the pro shops I use for my work! The level of craftsmanship I see (esp in woodwork and boat building) in the States seems to be far higher than in the UK, where houses are plain janes by comparison. Well, that’s me! Good luck with your online endeavors Cathryn!